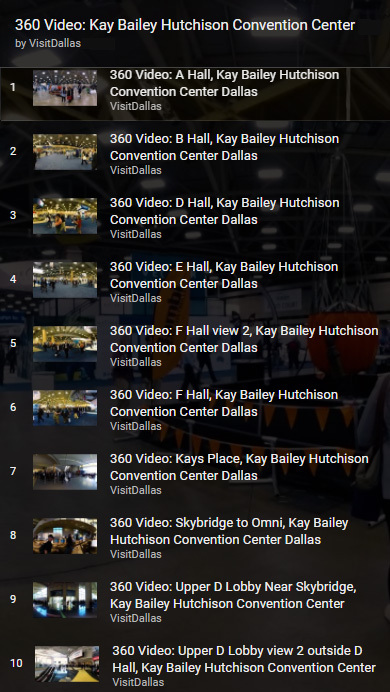 Located in the heart of downtown Dallas, Kay Bailey Hutchison Convention Center Dallas is one of Trade Show Executive Magazine's top ten convention centers. 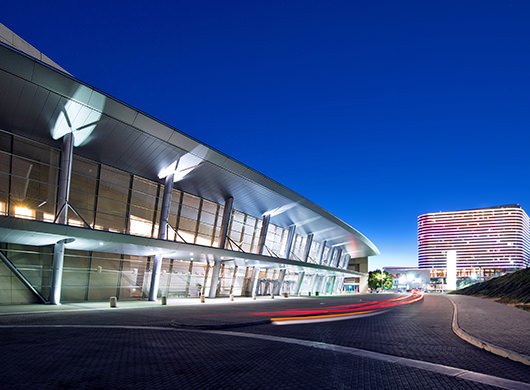 The KBHCCD is one of the largest in the nation and connects to the 1001-room Omni Dallas Hotel via skybridge. Use the links below to see the videos and use your mouse to move the view in any direction. Free shuttle bus (DART D-Link, Route 722) to Reunion District, West End Historic District, Main Street District, Dallas Farmers Market, Dallas Arts District, Uptown and Convention Center. $1 Dallas Streetcar to Bishop Arts District just two blocks from Convention Center. A taste for every craving, with more than 100 different quick a la carte menu offerings, ranging from salads and sandwiches to specialty coffee and even TexMex favorites. Elegant or relaxed event catering and fine banquet service for up to 15,000 guests. Flexible service styles and delicious "pop-up" portable food and beverage possibilities for any gathering. Wide selection of locally-sourced, health-conscious, gluten-free, and specialty options. 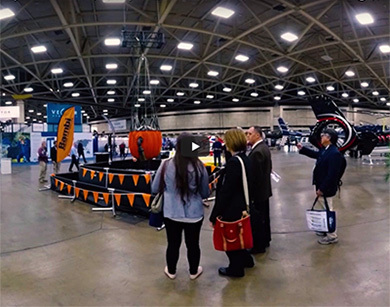 Nation's first Food Recovery Network certified convention center and community partner, providing more than 11,000 meals to downtown Dallas residents in need.